Many people in North Carolina who are arrested for a drug-related crime will also be charged with the crime of keeping or maintaining a dwelling or vehicle for the use or sale of a controlled substance—illegal drugs. You could be charged with a misdemeanor or felony, depending on what the prosecutor can prove. Whether you are being charged with keeping or maintaining a dwelling or vehicle as a misdemeanor or felony, you are facing serious charges that could result in a prison sentence as well as other long-term consequences. A conviction for this charge could result in you having a criminal record for the rest of your life and impact on your ability to obtain employment, obtain a loan, and more. However, with the help of an experienced criminal defense attorney, you may be able to get the charges dismissed or reduced to a lower level drug charge that comes with fewer penalties. A person knowingly keeps or maintains a store, shop, warehouse, dwelling, building, vehicle, boat, airplane, or other place that is being used by people unlawfully using unlawful controlled substances or is being used for the unlawful keeping or selling of controlled substances. To be convicted of a felony, the only difference is that it must be proved that the person acted intentionally instead of knowingly. If a person simply occupies the property, this may be insufficient to prove that he kept or maintained it. The courts will look at the totality of the circumstances in determining whether there is sufficient proof of this. Misdemeanor conviction. This is a Class 1 misdemeanor and the sentence can include up to 120 days in jail. It can also include other alternative punishments such as house arrest, entering a drug treatment program, probation, and a fine set by the judge. Felony conviction. This crime is a Class I felony—the least serious felony in North Carolina. The penalties can include 3 to 12 months in prison or an alternative punishment similar to those of a misdemeanor conviction. Misdemeanor. Offense Code 9966, Code Type M (Misdemeanor). Description: MAINTN VEH/DWELL/PLACE CS (M). Felony. Offense Code 9968, Code Type F (Felony). Description: MAINTN VEH/DWELL/PLACE CS (F). 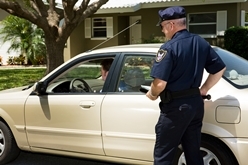 Have you been charged with keeping or maintaining a dwelling or vehicle drug charges? The experienced criminal defense attorneys at Browning & Law, PLLC are here to help you build your defense. Start an online chat or fill out our online form to schedule your free, no-obligation consultation.